As our customers continue to progress on their digital transformation journeys, they are increasingly seeking self-service capabilities that include more variable consumption models as the needs of their business evolve. In today's market, businesses are turning to network virtualization more to better leverage the costs of public and private infrastructure. Software Defined Networking (SDN) and Network Function Virtualization (NFV) together are driving economic efficiency, automation, scalability, and a greater desire for customer control. In order to fully realize their goals, enterprises are giving special attention to solutions that provide low- or no-touch support for transactional needs - and we think this trend will only continue. Gone are the days where enterprise customers implement fixed solutions. Forward-looking companies are increasingly looking for new ways to become more agile, secure and responsive to their customer needs, while also taking costs out of the business. They realize security needs to be connected to more buying decisions, and they want to avoid anything that might restrict their ability to quickly adapt to market changes. More and more businesses want to be empowered with the flexibility to make on-demand changes, driving increased expectations for automated delivery and reduced cycle times. Not coincidentally, these benchmarks have been placed top of mind as we look to digital delivery and digital assurance as key pillars of our service experience, while adaptive networking, agile IT, and connected security are the pillars of our product evolution. Our customers expect continuous improvement from every vendor as they do business in today's self-service marketplace. As my CenturyLink colleague David Shacochis notes in his prediction for this same series, "The types of companies poised to play a leadership role in this new world are those accustomed to working with distributed systems on a global scale. Solutions that span the physical, network, computing and management layers while connecting the global cloud core to the distributed cloud edge will help IT leaders see the potential of edge/cloud convergence." We continue to integrate our network with agile software that gives customers more flexibility and greater control of their assets, and these advancements will help differentiate the customer experience with operational excellence and expertise. To help enterprises both large and small achieve these goals, we are laser-focused on the efficient delivery of reliable, scalable, easy-to-use and secure network-based services. Customer needs will only increase in this regard, and providers who deliver on their customer promises will become far better positioned to succeed long-term. That's why we're confident 2019 will truly be the year of the empowered customer. Richard Batelaan has nearly 30 years of experience in the telecommunications and information technology industries. 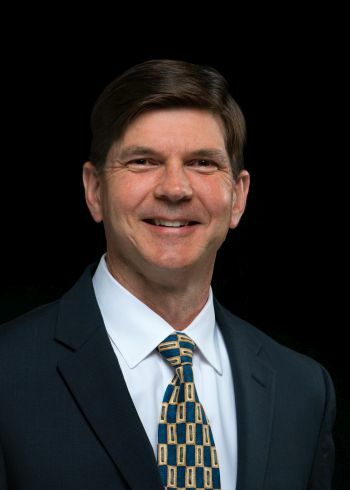 As CenturyLink's Executive Vice President of North America Operations, he is responsible for North America's Operations Strategy and Planning, Network Planning and Access Management, Network Implementation, Field Operations, Service Delivery, Service Assurance and Advanced Services Operations. Richard holds a Bachelor's Degree in Electrical Engineering from Georgia Institute of Technology and a Master's Degree in Information Networking from Carnegie Mellon University.